It's been so so cold this winter, I already am dreaming of sun kissed skin with a JLO glow! 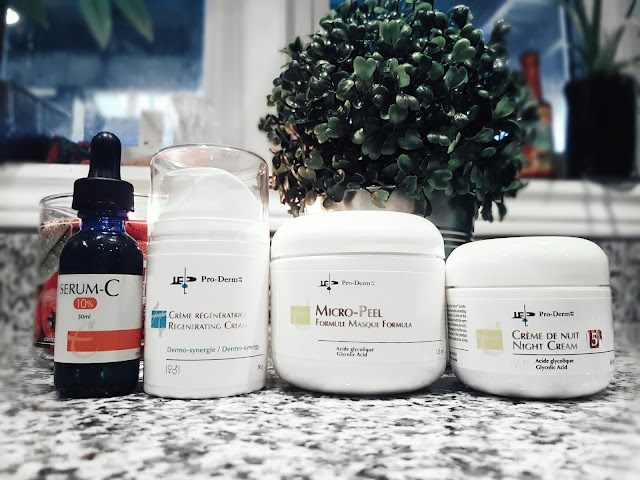 When it comes to skin care in the winter months here in Canada, its hard to know exactly what is the best thing to do to keep that lovely glow. With the furnace running and the heat on blast in the car, its hard for your skin to keep up. Its cold one minute outside then immediately its dried out from the heat. "What should I do Steph, please help my skin!!" Well, don't worry, I'm here for you! Here I put together some tips to help your skin stay hydrated and supple. Personally, my skin has always been a mix of everything, dry, oily, congested, sensitive, and prone to break outs. So naturally treating my skin has been work! BUT - when you have these key things in your routine, they are good for all of the above, and more. In a nutshell, your skin has a process called "cell turnover" which is the rate at which your skin produces new cells. If your skin doesn't get rid of these old dead cells and have room for the fresh new ones, it tends to get dry, dull and often clogged pores. Vitamin A helps with the sloughing off of old dead cells and also helps to make room for the new ones. Also, its an antioxidant which will help to calm any swollen, or irritated break outs.....obviously, Vitamin. A is a big fav of mine. Ah yes, another goodie. Vitamin C is a huge collagen producer. It provides structures for the blood vessels that carry oxygen and nutrients to help your skin stay healthy. It also creates the formation of elastin which will thicken, protect and heal your skin. With your skin thicker, it can hold moisture and increase circulation which will plump your skins surface. This lovely vitamin can help lighten any pigmentation as well as brighten up your skin. Who doesn't want bright skin? I want my skin to shine just like the sun!! Big and bright and beautiful! Peptides are actually fragments of protein which are the fundamental building blocks of skin. Without these peptides, your skin doesn’t remain intact and it losses it's firmness, there is appearance of wrinkles, texture changes, and your skin doesn’t bounce back as it once did. Hyaluronic Acid has the ability to hold 1000 times it's weight in water. Which means it is extremely hydrating and can help protect your skin from drying out! With these 2 together, your skin is on its way to looking as beautiful on the outside as you are on the inside (and I mean it) You are sooo sooo gorgeous! Just because I love you and just have to give you another little somethin' something' ......HYDRATE YOUR LIPS! If your follow me in Instagram you saw my DIY for your own lip balm. I've been using mine forever and my lips feel soft and oh so hydrated. 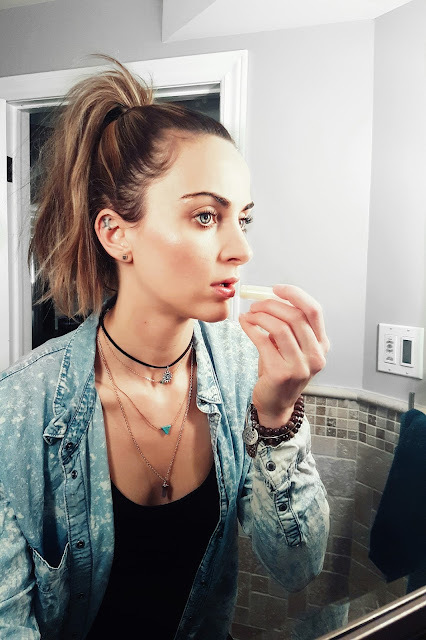 Click the picture below to take your to my Insta where I shared my recipe for this oh so kissable lip balm. I'm currently using Pro-Derm, a skincare line that I got from Vivacite Laser & Medi Spa in Bowmanville. My skin has done a 180 since using this line!! I'm using all of the above and making sure that I'm using a mask once a week. With all my skin concerns, I have found that this line has saved my skin from drying out and becoming dehydrated and dull. If you live in the area and have more questions, head over to the spa, they are AMAZING! Picture at the top is some of my current favs. If you have any question or tips of your own, please share!! I hope this helps you out during these next few chilly months - your skin can thank me later! I just bought a retinol! can't wait to start using! love these tips! Make sure to add your post to our link-up girlie! These are incredible tips! Thanks so much! Thanks for the great tips! Those products are new to me, so I will have to look into them! Off-base. Your skin needs some sebum for assurance and it will, as a resistance reaction,Jennifer Lopez Face Cream produce more sebum on the off chance that you strip it away. There are different treatments yet those are the most widely recognized ones, every one has its favorable circumstances and weaknesses,web for instance miniaturized scale dermabrasion can be agonizing and a few people have announced poor outcomes.